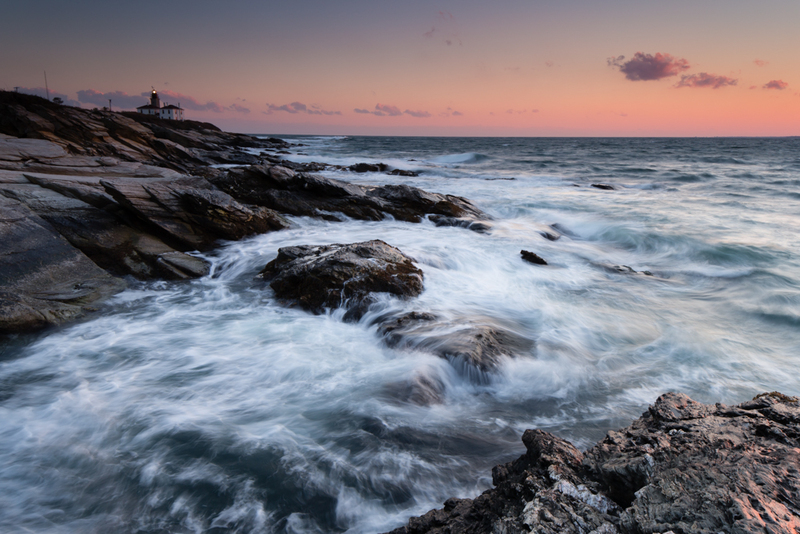 I spent an hour or so photographing at a cove along Jerusalem Road in Cohasset last week. You lose the light there long before sunset and so I was on the road home when I couldn’t help but stop to make a few images of Minot Ledge Lighthouse caught in the warm light of the late afternoon sun. Minot Ledge Lighthouse celebrated it’s 150 th anniversary last year. Known to some as the ‘I love you’ lighthouse because of it’s 1-4-3 flashing cycle, the 150 year old lighthouse is now up for sale under the National Historic Lighthouse Preservation Act. Hopefully the next owner will maintain and preserve this part of our coastal heritage.